For many families, school is done for this year and the summer is in full-force. It feels so good to wrap up a school year, doesn’t it? And I love the summer months, such a great time to enjoy the outdoors and family time. It’s also the perfect time to do some unhurried research and planning for the next school year. As you contemplate the next school year, it’s helpful to evaluate your last year of school to determine what might need to change for the next year. Ask yourself what you liked and didn’t like about the previous school year. What seemed to work and what didn’t? Read my blog post called “It’s Mid-Year Evaluation Time!” for ideas on what to think through as you evaluate your year. (this same information works for the end of the year evaluation.) Download the free “Homeschool Evaluation and Goal Setting PDF” to give you direction as you think through last year. With four children, I found that there were some curriculum changes needed every year. Choosing curriculum can be such an overwhelming job! There are SO many choices! How do you find the right fit for your children and your family? Go to your state’s homeschool group website to read the laws. In MN, our state organization is MACHE (Minnesota Association of Christian Home Educators). Also, HSLDA (Home School Legal Defense Association) has the laws for every state in the United States listed on their website as well. First, determine whether you want an “all-in-one” curriculum that covers all the subjects for each child or if you prefer an individualized program that you put together by buying from a variety of curriculum providers. The “all-in-one” option provides the full curriculum for each grade level, so you just buy the “package” and you’re set to go. This is an easy way to go because the all-in-one curriculum is typically well-laid out for you and you can be confident you’re not missing anything. It’s also usually the more expensive option. Some companies that provide the all-in-one programs are Abeka, Bob Jones, Sonlight, Christian Liberty Press, Christian Light, Heart of Dakota, My Father’s World, Tapestry of Grace, etc. (not an exhaustive list). To make an individualized program, you research the many curriculum options for each subject and choose the one that fits you and your child the best for each subject. For example, you might choose Right Start Math, Logic of English, Apologia Science, Beautiful Feet for History, the Picture Smart Bible study, How Great Thou Art (Art curriculum) and the YMCA for physical education. Each subject is purchased from a different curriculum provider (or external class) but all subjects are covered. This is a great way to go as well. As homeschoolers become more experienced and aware of their children’s needs and their own preferred teaching style they often tend to go with this “build your own” type of program. This is also more cost-effective because you typically can find used curriculum when you buy individual subjects like this. There are some great used curriculum websites and Facebook groups where you can find used curriculum. No matter which type of program you choose, it’s a great idea to find curricula that will allow you to teach all your children together for as many subjects as possible. Family learning is much more enjoyable and maximizes your time as the teacher as well. Children of different ages can learn Bible, science, history, music, art and physical education together. Because language arts and math follow a specific scope and sequence they typically need to be taught individually to each child. Children of different ages don’t tend to be at the same skill level at the same time for these two subjects. Therefore, you’ll need to buy individual curriculum for each child for math and language arts, but you can buy something that works for the whole family to learn together for all the other subjects. 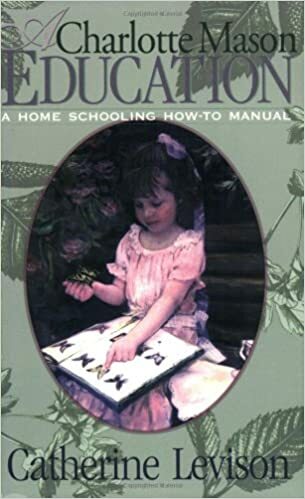 For family learning, I recommend buying curriculum at the level of the oldest child and teaching from that but giving individual assignments to each child based on their skill or age level. Many curricula providers have plans for how to teach multi-age children together for these subjects. This is a text-based program in which the student typically reads through a textbook, one chapter a week followed by questions and a test. The curriculum provides a teacher’s guide and lesson plans. Curricula using the textbook approach tends to be easy to grade because there are built in tests each week. Many computer-based programs also use the textbook approach because they’re laid out like a textbook with reading material, questions and a test for each section. If you attended a public school, this approach is typically what is used there. Some children enjoy this approach, but the hands-on, kinesthetic learner will struggle with this approach. Some textbooks are written to give a general overview, so they don’t cover the material in as much depth. But others are written by people who are more passionate about a topic and have more depth, such as the Apologia science program. Math curricula also tend to use the textbook approach. The textbook approach works well if you want your child to work independently, however it can be used for family learning if you read it aloud to your family and then give assignments based on skill or age level. 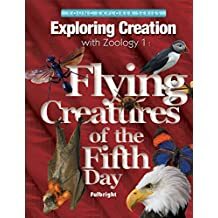 We used the textbook approach for science and math for many of our homeschool years and these were some of my favorites: Apologia science and Saxon math. There are a lot of curriculum providers that offer the textbook approach: Abeka, Bob Jones, Christian Light, Masterbooks, Christian Liberty Press, Notgrass History, and more. This approach has one main theme which is used to study all subjects. For example, if a historical time-period is chosen as the main theme (i.e. The Roman Empire), then all others subjects, such as science, art, Bible, and literature are all based on this theme or topic. You can also use a science theme, a literature theme or a topic-based theme such as Christmas or horses. Most unit studies typically offer hands-on learning, focusing on discovery and multi-sensory learning, and they use living books for reading material. “Living books” are books written by a person passionate about a topic who has written in an engaging or story-type of manner. Unit study curricula are also well laid out and give clear guidance and ideas for teaching many different ages. This method works great for family learning (rather than individual study) and most children enjoy the hands-on learning and living books that it provides. It works well for teaching multi-age children and is a great approach if you want to do family learning together. The unit study approach also helps students retain what they’re learning because of the interconnection between subjects. 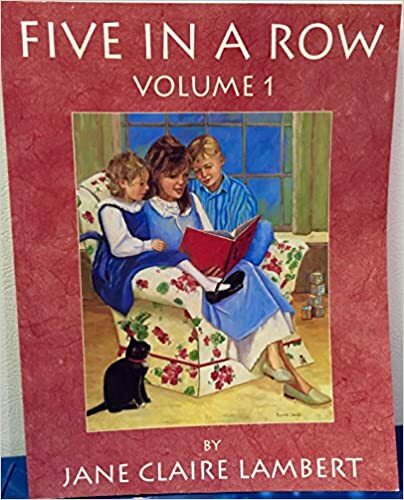 One of my favorites for pre-K through 1st grade is “Five in a Row”. Konos was one of the first unit study programs available and is still popular today. One of my favorite unit studies based on history is “History Revealed” by Diana Waring. 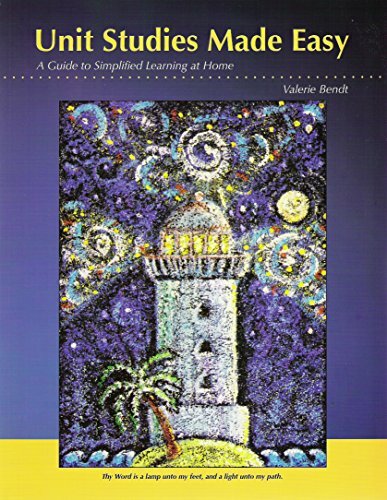 You can even create your own unit study with Valerie Bendt’s book “Unit Studies Made Easy”. Grammar stage: ages birth through 11 when children are like sponges, able to learn and memorize easily. 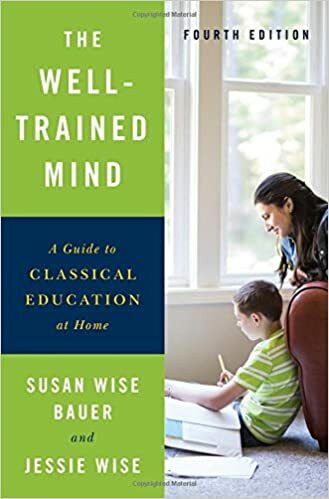 Classical educators believe kids are hard-wired to memorize at this age and recommend a consistent amount of time each day to memorize the core body of knowledge (15-20 min. a day). This is when they learn basic reading, writing, and arithmetic. They believe the key to memorization is repetition and they use songs and games to memorize, so it’s not boring. We naturally teach kids to memorize the ABC’s before reading – likewise, classical educators teach them the ABC’s or building blocks for the other subjects as well. Dialectic or Logic stage: ages 11-14, or middle school age when children question everything. They take the facts they learned and question them as they begin to use what they’ve learned. This is typically a time of deep analysis. Classical educators believe that kids are hard-wired at during these ages to try to understand “why”. This leads them to analyze, argue and try to persuade others to their viewpoint. Rhetoric stage: ages 14-16 years is the time when students take what they’ve learned and use and apply it, also giving an explanation for what they’ve learned. They may lead discussions, do research papers, give speeches or do debates for the purpose of sharing with others what they’ve come to learn. This approach is considered academically rigorous and Latin is often learned, but not required. It has a strong reading program and classical literature is recommended. This approach works well with multi-age children as well, and family learning is incorporated. This is a logic-based program and critical thinking is a key component. To learn more about this approach I recommend reading “The Well-Trained Mind” by Susan Wise Bauer & Jessica Wise. There are homeschool co-ops that have formed throughout the US and in other countries using this approach called “Classical Conversations”. If you choose this approach, you may wish to find a group in your area. This approach was developed by Charlotte Mason, an educator in England in the 1800’s. She believed that it’s important for kids to learn about nature and journal about it. She also said that children learn best from real life situations and that they need time to play and create. She emphasized art, music, poetry, and nature study. Reading aloud from “living books” is an essential component of this approach. For language arts, she recommended using copy work and dictation for writing, spelling, and grammar. The Bible is the primary source of knowledge and truth and memory work is important. Narration, or the retelling of facts and information, is used to determine what the child has learned. Finally, habit training (or character training) is also a key component to this program. This approach works well for family-based learning and multi-age teaching. Most learning styles enjoy this approach. To learn more about this approach, I recommend reading “A Charlotte Mason Education” by Catherine Levison. There are websites online that help you navigate the Charlotte Mason approach (amblesideonline.org and simplycharlottemason.com). There are also Facebook groups for parents who practice this method. These are some of the most popular approaches today. Most homeschoolers end up using a mix of these approaches, or the eclectic approach. I encourage you to learn more about these approaches and give the one that appeals to you the most a try. As you choose curricula, take note of the author’s worldview. Are they Christian? Do they adhere to the same beliefs as you do? This will be important to consider as you choose curricula as the author’s worldview will come out somewhere in the curriculum. For most people, cost is a factor to consider. Today many families are spending anywhere from $600-900 per child on homeschool curriculum! You don’t need to spend that much, in fact, some families are able to homeschool nearly for free by using free online curriculum or borrowing curriculum. Check out the public library for resources to teach from, especially in the elementary years. Don’t forget to look on Facebook used curriculum groups or online used curriculum sites to find what you need. If you have preschool children or early elementary age children, you can use the library for most of the books you teach from, there are so many good children’s books that teach science, art, music, and history, you don’t need to go out and buy expensive curriculum in the early years! One of my favorite ways to teach music in early elementary was to get CD’s from the library of music by different composers and then I’d check out a book about that composer and we’d learn about the composer while we listened to their music. Choosing curriculum doesn’t need to be an overwhelming task! Remember also that if you choose curricula that you don’t end up liking, you can always resell it and get something different. You aren’t married to that curriculum for life! I also recommend going to www.cathyduffyreviews. com to read reviews written by a Christian veteran homeschooler. I know you’ll find her website an amazing help in your curriculum search! Most importantly, seek the Lord for guidance as you choose curriculum. “Trust in the Lord with all your heart and lean not on your own understanding. In all your ways, acknowledge Him and He will direct your paths.” (Proverbs 3:5-6) He cares about you and your family and He knows what would work best, so ask Him for guidance and He will provide it! Do you have any questions or insights about choosing curricula that you’d like to share? Please comment below!